This 3 bed / 2 (full) bath, 2 story traditional style home sits on a 0.4 acre wooded corner lot. Home features 3 car garage (2nd stall heated), a 15 x 14 3 season room off of the living room, which is open concept to the kitchen with its breakfast nook, snack bar, built in desk, and mud room access. Upper level master bedroom features his/her closets and master bath. Partially finished full basement is great for storage space. Also included: central vacuum, built in sprinkler system, alarm system, and newer roof. Home is in Berrien County and the Buchanan school district, and is within 5 to 7 minutes of Buchanan High School, Buchanan Middle School, and Moccasin, Ottawa, and Stark Elementary Schools. Click through to browse more homes for sale in Buchanan, Michigan, or call Berrien Property about this home now at 269-695-9595. 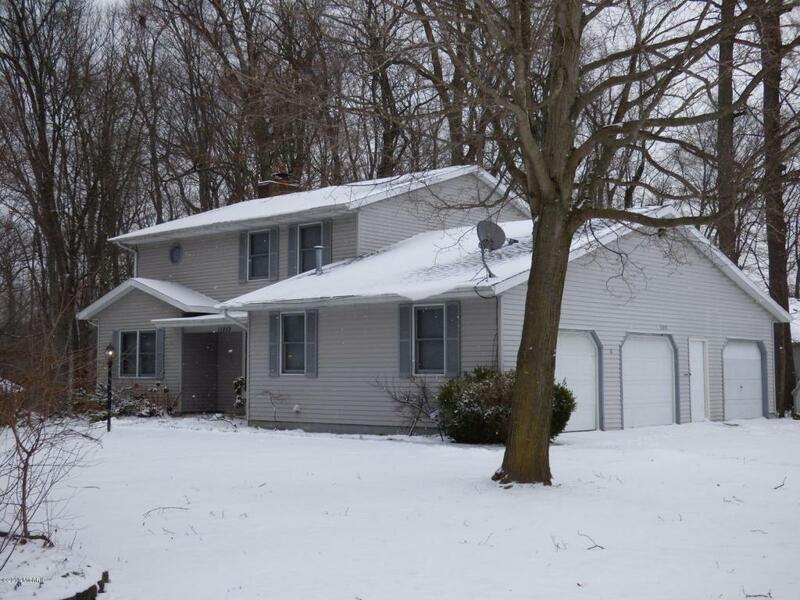 This 5 bed / 3 and a half bath spacious ranch home sits on a 1.65 acre wooded lot. Home features recently installed window treatments and an open floor plan that maximizes the space with living room, family room, dining room, kitchen, and finished lower level walkout. Kitchen features a built in desk, eating area, snack bar, pantry, and access to the mud room. Outside you'll find an attached 2 car garage in addition to a detached heated + wired 4 car garage, and an above ground pool (with raised deck) plus a newer hot tub. Home is in Berrien County and the Brandywine school district, and is within 10 minutes of elementary, middle, and high schools. Click the link to check out more homes for sale in Niles, Michigan, or call Berrien Property about this home today at 269-695-9595. This 4 bed / 3 bath (1 full, 2 half) ranch home features hardwood floors, walk out basement (including 4th bedroom), new paint, a rec room with fireplace, and a master bedroom with double closets. Outside is the attached garage and a deck, a great place to kick back and enjoy the view on your 2.4 acre lot. Home is in Van Buren County and the Hartford school district, and is within 10 minutes of elementary, middle, and high schools. Click through to view more homes for sale in Hartford, Michigan, or more homes for sale in Van Buren County, MI. Or call Berrien Property about this home today at 269-695-9595. Ever feel like pulling a disappearing act from your busy life in the city? This home on Magician Lake is just 2 hours from Chicago, and with this kind of destination in mind that drive will feel sawed in half. It's 60 feet of frontage on an all sports lake, so bring your favorite jet ski, motor boat, wakeboard or tube and do a few tricks. Pick a room, any room, and hold no illusions about a lack of space; this home has 7 bedrooms and 4 full baths along with 2 half baths, as well as the kitchen, decks / porches, family room, and living room. Nothing up my sleeve but all the appliances you need, this home is equipped with refrigerator, oven, microwave, cook top, dishwasher, and garbage disposal. With a landscaped yard and your own private lake frontage just a 45 minute drive away from Notre Dame, this Cass County home is truly a magical place to while away the summer. Click through to browse more Magician Lake homes for sale, or call Berrien Property about this one today at 269-695-9595. If this lake doesn't float your boat, feel free to check out a wider variety of Waterfront Homes in Southwest Michigan. 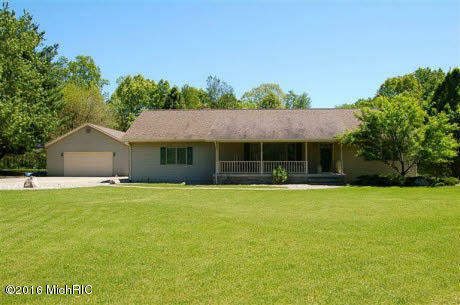 Looking for more homes for sale in Cass County, MI? We've got you covered there, too.